Looking at your current incomes you often end up taking a huge amount of home loan; which in long run becomes a burden for you to pay back. Banks may provide a high amount of home loan considering the net worth of the property being purchased or may also offer easy EMI options for repayment. Hence, bankers will always try to bait you with all the possible schemes and low interest rates, it’s you who should know where to draw a line. You must calculate your ability to payback so as to avoid landing up in repayment difficulties at a successive stage. 2) Think and choose: Fixed or Floating? Once the amount is decided, the next question is whether to go for a fixed rate or floating rate. Fixed Rate: The fixed rate’s interest rate is based on the bank’s interest rate around the time you arrange that mortgage. Floating Rate: The floating rate is based on what the bank rate is and keeps on changing over the life of the mortgage. Many loan-applicants opt for fixed rate loans to eliminate the stress involved. With the interest rates going easy on the customers, floating rates are the most viable option in respect to the current situation. So the choice is yours! 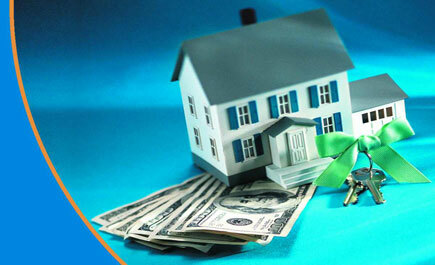 Whether you have to go for a steady loan rate or you are ready to deal with the ups and downs in the interest rates. When you go for a fixed loan rate you think it’s time for you to sip a cup of tea and relax. It’s a rare fact but yes there are situations where the rate is increased depending on the base rate fixed by the RBI (Reserve Bank of India) which can result in an increase in the EMI delivery or an increase in the tenure of the loan. The bank further has the authority to abrogate the loan service in case you are unable to meet the obligatory changes made by the RBI. Insurance against fire and other natural calamities is a major point in the home loan contract. However, you may overlook this clause, assuming that nothing of this sort will happen. But what if it does happen? In such cases the bank has special provisions where the borrower’s account is debited and charged interest for the same. As they say prevention is better than cure; it is better to take this clause seriously and not fall into a state where you will be left with a home loan despite being impaired by a calamity. As a borrower it’s your duty to inform the bank in case of a change in your employment status or any other thing that should be brought to their notice. So even if it’s a job loss, retirement or switch, ensure that your bank is kept in the loop. As a lender it is the duty of the bank to keep you updated with the no. of EMIs’ left and any other changes like fluctuation in interest rates etc. So before stepping towards buying your dream home, ensure all the above points; in case you are willing to take a home loan. If chosen wisely home loans are actually the best option for people who have not been able to save much but are earning well enough to pay the instalments. For best deals and a secured investment contact us at info.crem@co.in . ← Does brand matter when you choose an agent? This is an excellent article and very good advice for would be home loan applicants. As a mortgage broker my experience has been it’s better for borrowers to fix rates while they’re low if they don’t have the ability or the discipline to pay extra into their home loans.